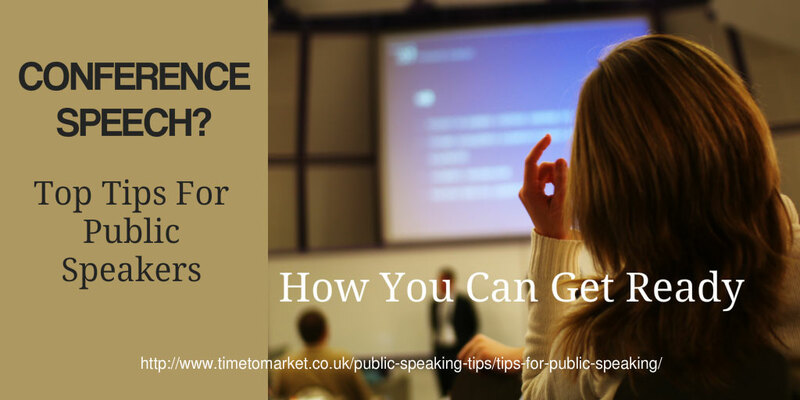 We’ve arranged a series of public speaking tips so that you can give better presentations and speeches. We are confident you’ll appreciate them because all the tips feature in our training. You too can benefit from these tips. First, you can watch the tips here. Or, second you can receive the public speaking tips direct to your email. Or, of course, you can join us on a public speaking course. Someone has asked you to give a conference speech. So how do you plan to get ready for your conference speech? Because you want to be fully prepared, of course. But there are still one or two more things that you can do before you have to give your speech. Therefore here are five tips to make sure you are ready with your speech. Make sure that you research your audience beforehand so you can deliver what they want. Check over all the detail of your conference venue beforehand. Because you don’t want the same experience as this Baroness Scotland speech. Practise your speech against the clock and make sure that you rehearse all the multimedia elements. If you can, look for some feedback from a colleague. Ensure that you know all the details about your speech title, length of your speech and how questions will be handled. Give yourself plenty of time between accepting your speech invitation and actually giving your conference speech. Because it really does pay to be prepared. Getting ready for your speech doesn’t have to be too problematic. So, aim to use these five tips to make sure you are ready before the big day. Good luck with your speech.